There are so many different types of games to play nowadays – from your classic board game to online games through your browser. But why should we choose to play online games rather than dust off our battered old board games? Online gaming through a browser involves either partially or primarily using the internet or another computer network to play games. So, for modern gaming platforms it’s everywhere including PCs, consoles, tablets or other mobile devices. It can be on the go or in your living room and engaged with people who aren’t in the same room, town or country as you. There are said to be more than half a billion gamers in the world who play an online based game daily for up to approximately three hours per day. This is a big industry and companies are increasing the quantity and quality of the games provided to their users. Online casinos make up a large share of this online gaming culture – meaning that people who don’t even live near a physical casino can enjoy the thrills and spills that they offer without setting foot out of their front door. There are a huge range of these games available such as console games, first person shooter games, real-time strategy, cross platform online games, browser games, MUDS and MMOG. As the internet was developed and grew, online gaming became more sophisticated to meet the demands of a wide variety of users. Over time more complex games such as Travian required contacting a web server to enable players to enjoy multi-player games. In recent times a technology known as Ajax (a method of exchanging data with a server where no reloading is required) was formed to allow games to use more complicated multi-player interactions. More and more games are becoming available and many of these can be free. Some may charge for extra ‘in-game’ features – a way to extend the revenue opportunity offered by browser-based games long beyond their release date. Try opening Google’s Chrome browser, open a free Google Play app store account, and you’ll find a huge variety of free and paid games that run in the browser. With new technology, more wearable devices are expected to come into play and with these will come further options for browser gaming with multi-players. So, will all this mean the end of traditional gaming consoles, or is it just the beginning of a whole new era? Online time will tell whether the browser-based adventures will gather digital dust like those old board games in your loft but, such is their dominance, there’s a while to go yet until their dominance is overturned. Battlestar Galactica Online: a 3D browser based Sci-Fi MMORPG building on the acclaimed tv series Battlestar Galactica. Call of Thrones: a 3D browser-based MMORPG by YeepGame. Inspired by the Chinese era of the Three Kingdoms, three conflicting factions battle one another. Club Penguin: Disney’s snow-covered, virtual world where children play games and interact with friends in the guise of colourful penguin avatars. Players create a penguin and explore the winter-set world. Heroes of The Realm: a 2D strategy MMORPG by OGPlanet. In Heroes of The Realm, heroes from all across the Realm of Midland are called to arms to fight in an inter-dimensional war. Super Hero Squad: a browser-based superhero MMO by Gazillion. 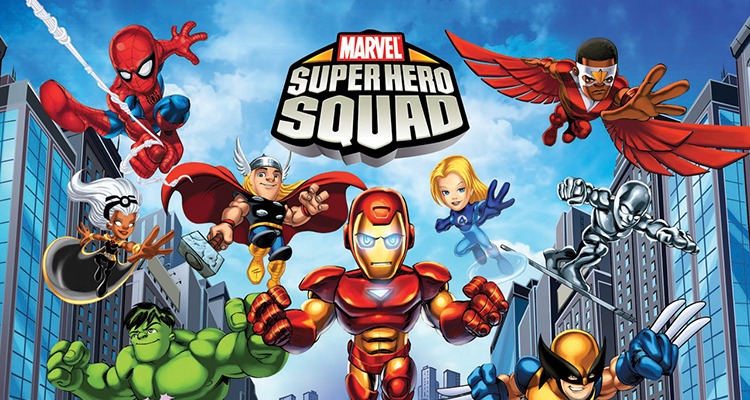 Designed for younger audiences, the game is based on Marvel’s Super Hero Squad lore.